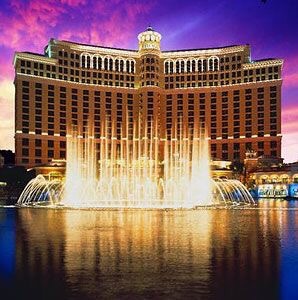 One night in November my husband and I stood in front of the Bellagio hotel watching the waterfall and listening to the music. Like the scene from Oceans Eleven. People were crowding around and planning their evening. Not me. This WAS my evening. This is what I had come to do. I stood there crying. Emotions running down my face as I remembered every thing I had been through to get there. I had not long before experienced an episode of Optic Neuritis and had the very real fear that it could happen again at any moment. I had been blind for weeks. Lots of other things had been going on too. Fevers. Pain. Oh the pain. Loss of feeling. Soaking the sheets in pain and temperatures. Nausea. Balance issues. Migraines. Weakness. Fatigue. The smells of a city just waking up waround us and the buzz of fun and entertainment were in the air. But me… I was happy to stand there. Holding my husbands hand and remembering our humble beginnings and every challenge after that. I remembered my mother too and wished I could see her one more time and tell her about the waterfalls. You see, like everyone we meet or pass, we never know their story or what they have seen. And you never know what a thing will mean until it is gone. Thank you to my husband and companion for helping me see the waterfall.